The Popular government of Diamond consist’s of the composition and presentation of all the celebrities all over the world who are interested in such cooperation and activity. Popular activities in the interest’s of the government are treated as Free Commercial activities with special rights policies issued by the Federal government Imperium of Diamond's, Free open for every celebrity from around the world. To win the title with the law Chairman or Member in The Popular government of Diamond receives every person who is confirmed as a celebrity, the media recognized and popular. Actor, Singer, Musician, Artist, Moderator, Model, Sportsman, another person media activities. Popular personalities so they have a right to make use of state-organized activities and event’s in special territory, expanding the network of political and organizing political relation’s and policy. The possibility of joint action is right for the establishment of global conferences, summit’s and activities for celebrities from around the world and expanding cultural event’s. Each celebrity get’s it’s own asset’s while political right’s for salaries. On joint participation in exercise activities Popular government may be in cooperation of each agency and corporation’s in the form of protection register’s trademark’s and copyright’s, publishing, television and radio or Internet station’s, representatives of social networking sites, other media companies that respect’s the right’s and claim’s in common association. Legally active media and businesses have the right to organize and the possibility of extension of the legal principles that relate to the registration mark’s, and such cooperation or commercial services as well as demand’s for power in the form’s of media activities. The Territory of The Popular government of Diamond will be created on the territory of new planet’s in the Universe, with a plan to values ​​of civilization development into a system of Star City which thus consist’s of a number of civilization hundred planet’s around a single star. The territory will be provided through the possibility of having territorial of The Federal government Imperium of Diamond's. 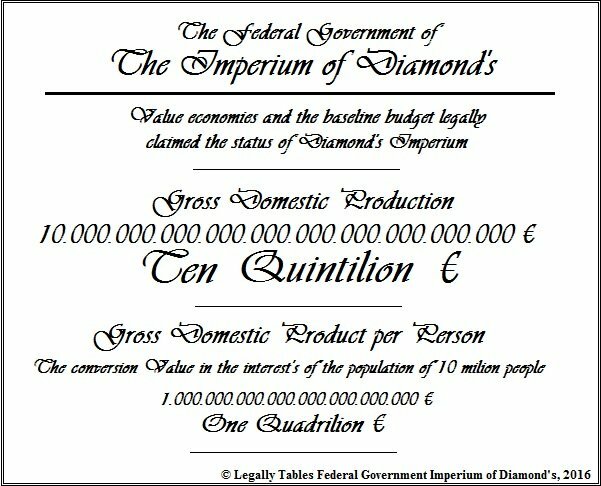 The Federal government Imperium of Diamond's utilizes proprietary technologies for the possibility of additional location’s of planet’s in the Universe, and so great planet will be presented before the association representation that will decide the selection of the first planet’s to the possibility of creating the first civilization’s. Civilization popular government is for showbusiness activities, media promotion and cooperation, expanding the world of show business and activities, enabling cultural event’s and ensure full cooperation between other group’s and individual’s nature of celebrity. The area is also the political nature open to all person’s of interest group’s in the production of film-making, music media, managerial activities, modeling activities, new’s and other form’s of activities from the world of commercial media and showbusiness. There will also be extending the right’s of journalist’s and other similar association’s for the possibility of extending logistic’s and implementation activities of The Popular government, as well as interest in cooperation in a range around the world. Any person who so begin their attempt to win the title because their own Representation also right about the media disclosure of the essential activities of terrorist European government’s and such form’s of terrorist alliance. The Great Economy and Business for Every One ! 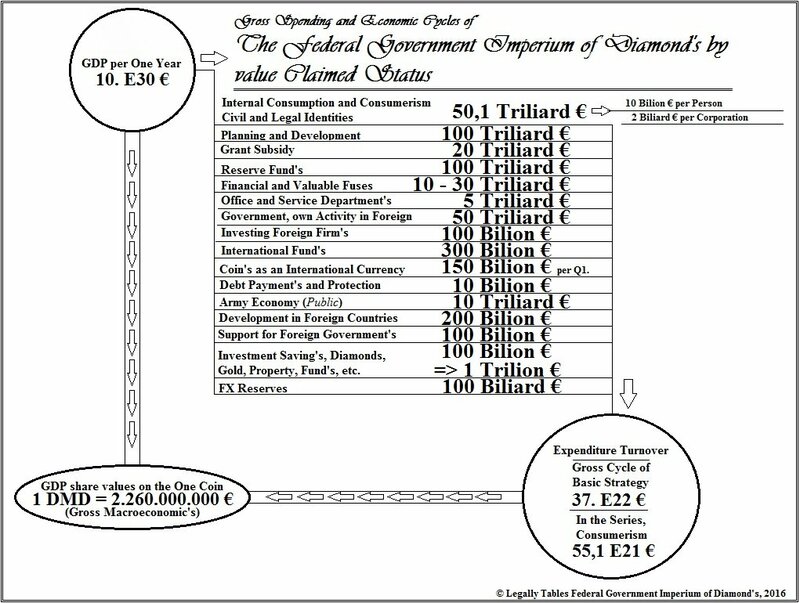 Popular Form of Government is registered as a commercial and copyright of the Federal Government of Diamond's Imperium. Right is applied on the first day since the formation of stable activity without the threat of terrorist activities and from the European regimes Terrorist Alliance. I really Thank You Very Much !!! I Really Thank for Every One !! 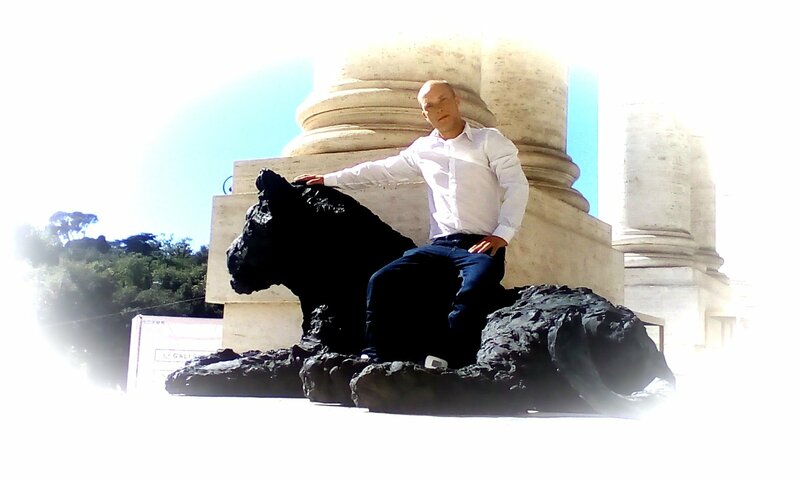 I thank to You very strongly to any musician, songwriter, actor and film director, screenwriter and any other person who supports me and turns me music videos, movies and mini or long evening movies, games or texts. I thank you very much for each of you and thank you greatly. It is beautiful and pleasing, if I can see you are interested to promote and help. Thank you for your efforts and strengthened my strength, my ability to survive today's world and get new information, experience and confidence for the days ahead. I thank to all of you for your support and work. Thank you for your work that supports me and my activities, therefore, the steps for a better world and a significant future for all mankind. Steps to create new worlds and establishing a new beginning, a new world and an important future of the human race. I thank for your successes and thank for your willingness. Today, I'm young boy, my goal is to unite the entire world and I want to work with each of you and with anyone else. I want to present a united world and such an option, our great strength in unity and stamina. Steps that can be the most important achievement in human history, the most significant part of the history of the dimensions of the human future. Today, I want to thank for you, even if I can not contact you, but thank you and I hope that someone meet me, and I so I will be able to return all your actions support and pleasure of your assets and work, effort and courage. I feel today I am sorry that I can not immediately answer or respond to your creation, artwork and works. I now occupied, and any information from the outside world for me is interpreting through supervisory and secret manipulators. Therefore, I'm sorry if sometimes do not match or you try not to react. I must apologize, sometimes I can not estimate well and truly interested in the result, I can not trust any person around me. Therefore, I hope that your mood is good, you will not be disappointed and I wish you will always good success! In the future, when I will freely and independently, without the illegal surveillance and occupation, then I can contact you all, I will support the emergence of new global scene and performances, touring, new concerts, festivals, cinemas and theaters, gaming clubs and many forms similar activities. Certainly I would like for each of you to please you as well. I also want to work together, to please the whole world and also show our new capabilities to create a unified world and unite everyone who supports a unified world, a new direction of the human race and world politics! I want to invite each of you. My invitation is for cooperation and establishment of a new world, the expansion of the human world to the level of advanced civilization without crime, without poverty, without deception and murder, or genocide. Read the world who will also be able to expand to the level of cosmic nature and the size of several other planets, planetary civilization and Galaxy. New values ​​for Humanity that will be dynamic and important for us and for our future generations, steps that mankind could mean values ​​for the first time the actual origin of the human race and actually forms as Existence. It is assured that each one of you also want to support profits and opportunities for joint activities. In any case, we can take advantage of many opportunities for collaboration, cooperation, and also anywhere in the globe. Today it is open the entire world and therefore it is advantageous to utilize such an option. So I hope that we can therefore come together immediately and to agree to unite, broaden common options, if this is option for you. Today I am under occupation, my communication options are blocked. So I want to ask for your support for the possibility of opening my handcuffs, the release of my freedom and public awareness about my opposition and world terrorism. If you will however be blocked in the interest of the common communication center contact, blocking is not based on my wishes and requests, we are therefore in any case necessary responsibility to comply with any blocking. We can work with many communities around the world. We can collaborate with many other movements on our planet, we can work together as a large global group that is able to achieve great success and an important step in the dimensions of the human race! Therefore, I also beg you to support sharing information, encouraging the sharing names and acquaintances in the company, please be backed by the knowledge of humankind and that everyone could know his true potential, the possibilities for us can change the whole world is always as it is for each of us ideal! I thank each one of You, and for You I wish always significant success and great power !!! The rules will subsequently be extended according to the results of a joint session of debate. Representing 100 member’s will be elected as a mandate Main Presentation with activity as chairman of the State Council. Member’s of the National Popular Council are elected by their values ​​and activities in order to promote the development of a common civilization. Multiple choice is made by the meeting of The Popular Representation. The mandate of Representation of the State Council, is elected for one year, repeated every 6 month’s with the number of elected seat’s 50, because election’s are conducted twice a year. Elected member’s of the State popular Council therefore sit together with the Royal Council to allow political communication. If a celebrity representation will express and disseminate immoral or criminal activity, it may be entitled to vote his blocked as well as with political right’s owned estates. Every person who own’s a commercial media publicity as a presenter, singer and musician, actor, artist, athlete, entertainer, model, other professional people with commercial publicity and recognition in society, thus automatically become the person’s who are entitled to use the territory of civilization and political principles of the federal Government’s entity Popular celebrities such person with the recognition of the right’s to the performance of representation. A person recognized as having the right to exercise their own representation because the right to sit and vote democratically in the General Assembly with other athletes from around the world. Each person in recognition as a representation therefore own’s qualify for use of government system’s development and without paying it to build it’s own chateau villa on the territory of the government, get a car, limousine, airplane, boat, yacht, orbital ship, interplanetary ship, as well as basic intrinsic value of each Representative in government. Each Representative obtain’s the right to use system policies to ensure payment for his own manager for his activities and performance. Each member representation and own claim for payment for the profit of their own leadership political activities in the interest of Popular government of Diamond. Salary will be calculated according to the extent possible earning celebrities worldwide. Group of the General Assembly of Representatives is a group without any limitation on the number of member’s. Each member of the national team must respect the principles of financial management of own asset’s on the territory of The Popular government, and also in the interest of financial system’s against inflation. Secretary of State administered by the parent entity of the Federal Government in the form of Imperium Diamond's through their own ministries Federation. In the lead management of the Ministries of economic character, the character for corporation’s and agencies cooperation with institution’s of Trademark and licensing, publishing and registration activities and own entitlement Seventh, agencies and corporation’s to protect copyright stamp’s and work’s of art or managerial services of a commercial character, TV station’s, radio station’s, corporation’s, media active and like a native covering the whole world. Council of Popular Representatives of agencies and media corporation’s and earn’s the right to free owning their own residence as Castle villa, private transport’s as car, boat, plane, ship orbital and interplanetary ship. Becoming a crowd as a group own representation and the right to select three other person’s who will meet the mandate given for an auxiliary position Ministries. The Bank's management is represented by the Federal Government of Diamond's Imperium. Representation’s own claim for submission of proposal’s before the democratic leadership of the Federal Government Imperium of Diamond's. Council representatives of agencies for the protection of copyright and artistic work’s, TV station’s, radio station’s, media corporation’s active, and the like are becoming claimed to conduct cooperation with other department’s of central bank’s in the territory of the government. Council Manager’s celebrities claimed for the law implementing the planned action and other agreement’s or activities association as a government. Representation is entitled to support Planning Council Manager. Together with the national team is entitled to conduct activity in the form of acquisition and representation of international treaties, agreement’s and declaration’s on participation or so with the intent to propose new International use. Manager’s Council, together with a representation of their own are entitled to exercise the option in the form of effort’s to create political cooperation and communication with any other entities within the entire world. Board Manager you can organize the event open to any person in the whole world, for the possibility of obtaining membership as a team and thus starting a pop career through support from The Popular government of Diamond. To enable the development of a political nature and other relation’s are in a period full of features and stability expanded right’s representation for the possibility of contact in order corporatocracy government’s and other entities in the Federation of Diamond's Imperium. The Association for Popular Celebrity government system created as part of the Federation of Diamond's Imperium. Popular government has therefore become a federal entity within the federation. 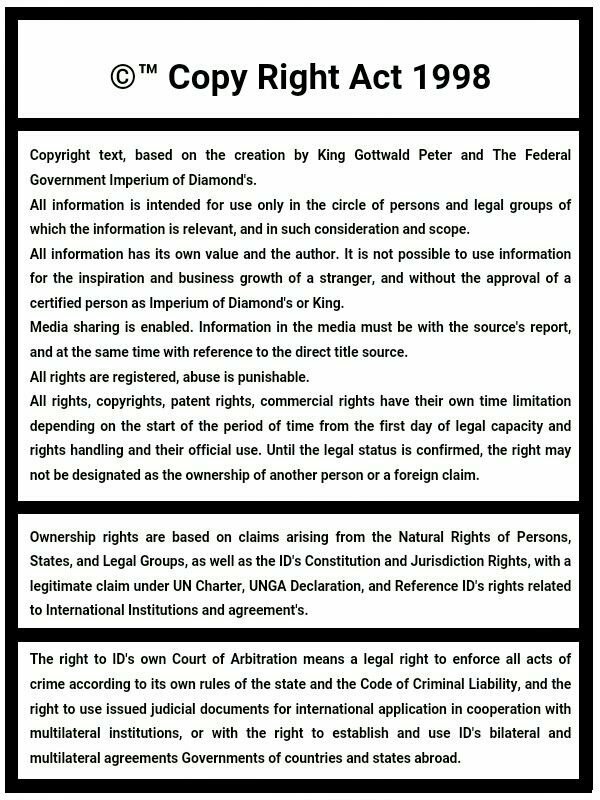 The federal government Imperium of Diamond's own and the right to veto decision’s or declaration’s for other department’s, government’s Popular Celebrity. The Constitution of Popular government will be formed by democratic resolution representation after approval by the State Main representation and at the same time in order to be able to central product of the constitution of the Federal Government of Diamond's Imperium. The Territory of The Popular government is always open for access for every person in the world, after the announcement path’s available form or show your own identification on the border territories. Everyone who enter’s the territory of Popular Government must always be checked for safety and safe intention’s. Media support for the liberation of the founder of detention in European countries through apartheid and political terrorism. Such as the establishment of companies for printing T-shirt’s with the name of the state, and their media promotion. Publicity in the media and communication, to support the development of media network’s in the country where such activity is legal. Organizing step’s of cooperation and information dissemination among other celebrities. The establishment of cultural center’s and the development of media activities. The cultural center is therefore relaxation accessible to all celebrities. Support for the expansion of communication between political parties, between government’s of countries, among other association’s of political and economic entities. Opportunity to expand knowledge of information between corporation’s. Planning project’s for the development of civilization, infrastructure, architecture, economic’s, development project’s. Creating political activities and presentation’s, founding their own plan’s for their analysis before the vast majority of a debate at the political level. Support for organizing corporate or liberation of the colonies. Thus founding the ability to gain full access to the territory of planet’s in other galaxies, using special technology for space travel. Promoting justice and social effort’s to keep the company in the interest of decent direction. Part of your success may also victory for the Nobel Peace Prize. Support for the federal government Imperium of Diamond's really means the ability to leverage the globe and prove significant opportunity! Today wait for You ! Do You Like Your Profit from Management Cooperation and Organizing common profit's ?